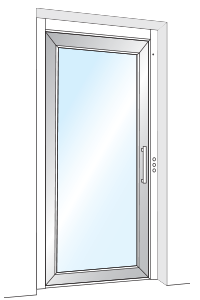 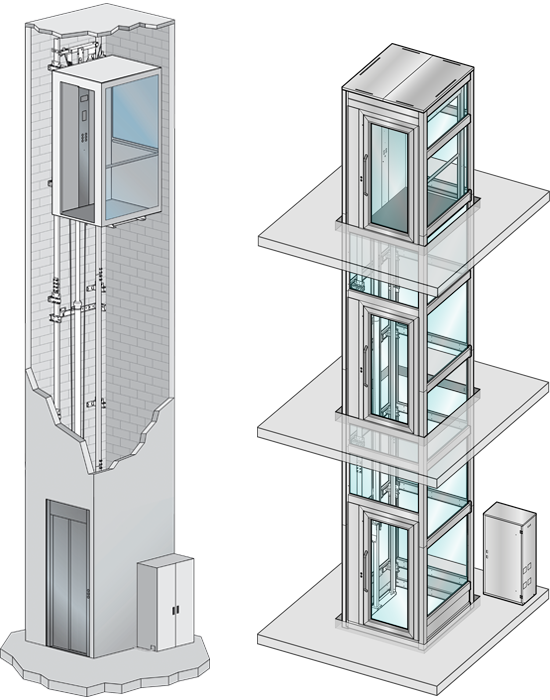 They can be installed both inside and outside the building in special metal structures or between the walls of the house. 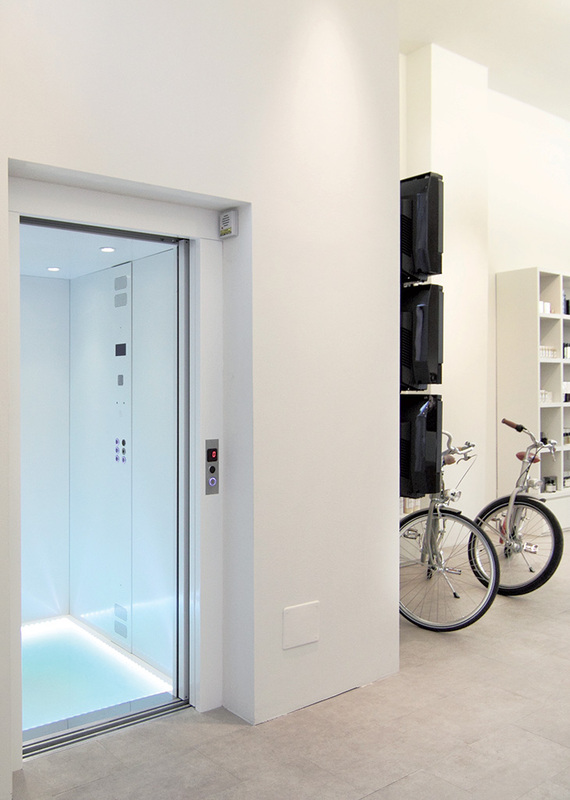 They ensure a high level of ride comfort, great reliability and total safety, for example guaranteed by the automatic emergency lowering system in the event of a power failure. 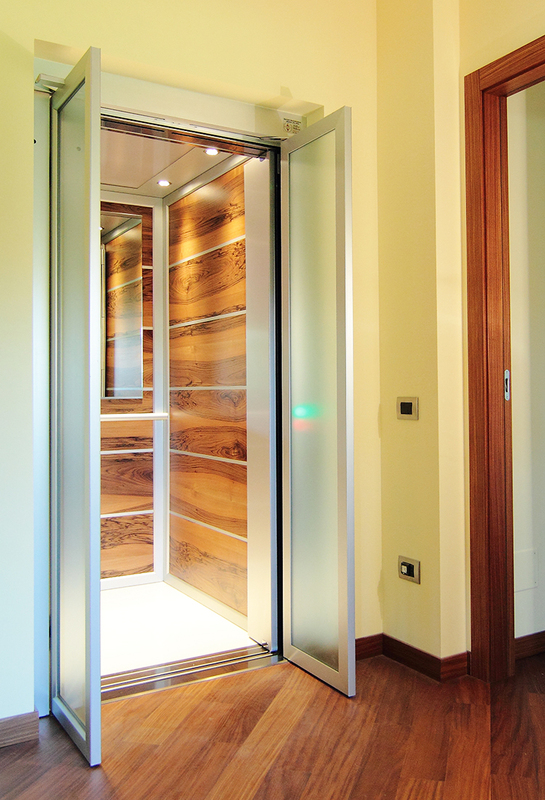 It can be operated with the push of a button, both in the cabin and on the landings. 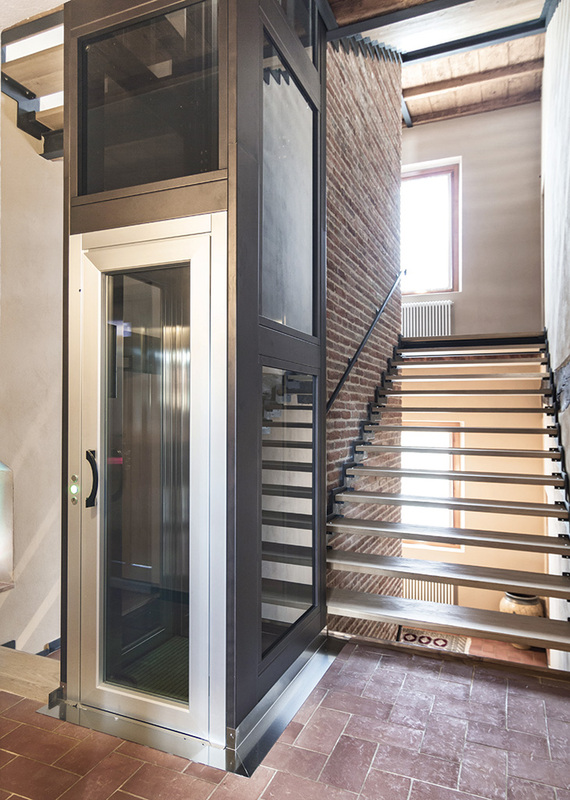 Choosing the version with the doors in the cab, automatic sliding or folding, you will not have to hold the button pressed during the entire ride. 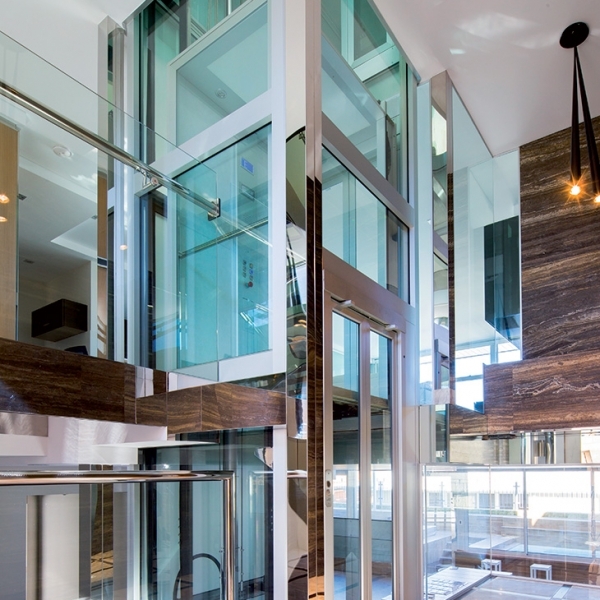 Decorate the space in motion by choosing the finishes that best suit your environments and satisfy your taste as you would for any furnishing accessory. 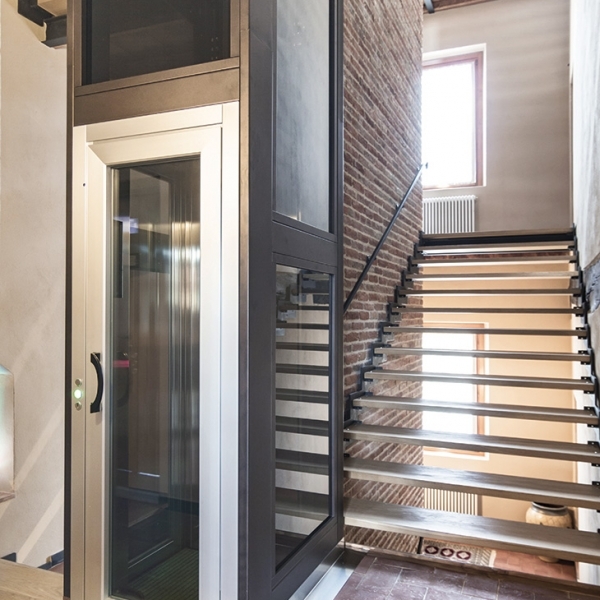 Our renewed range of cabins, Smart – Idea – Style and Opera, best represents the expression of MADE IN ITALY. 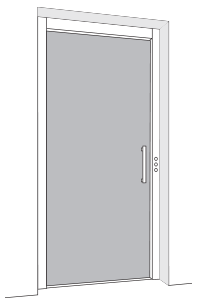 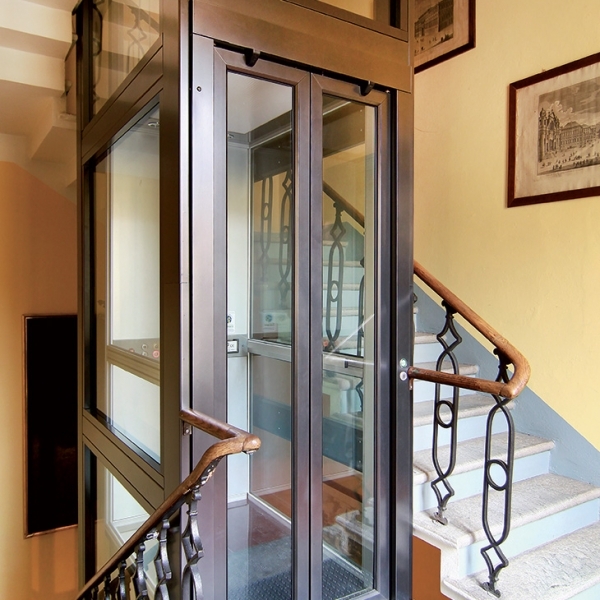 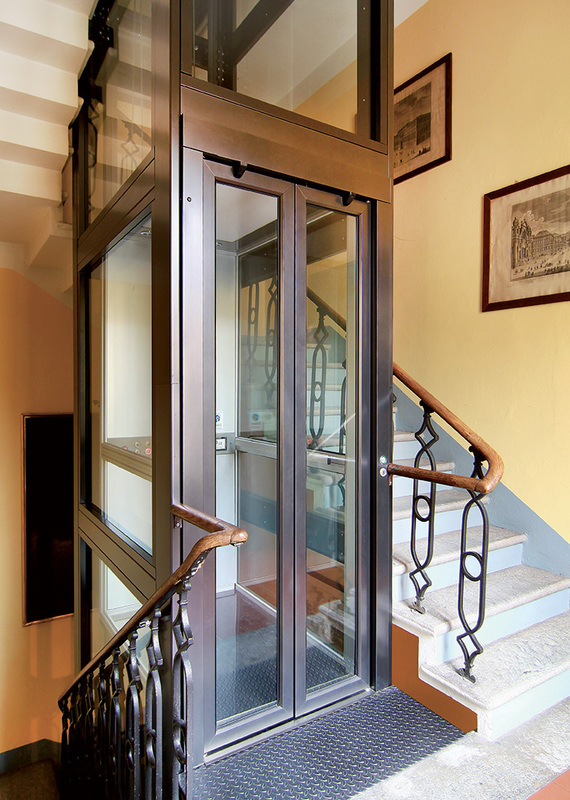 STAIRfit is our compact model created to be installed in limited spaces and ideal for insertion in stairwells of particularly reduced width. 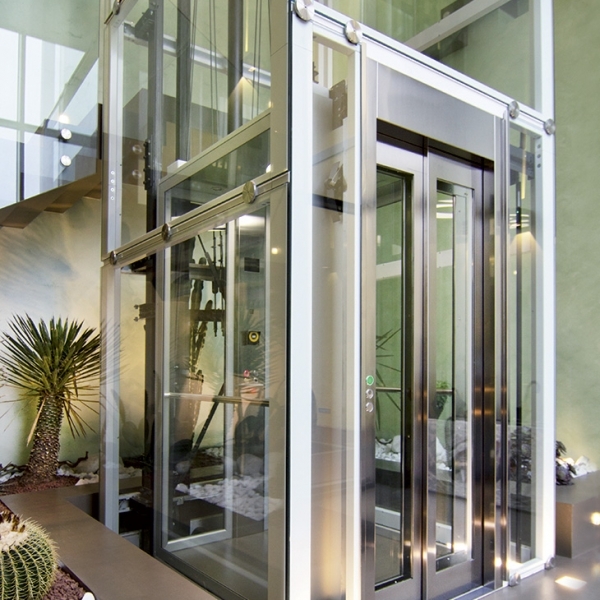 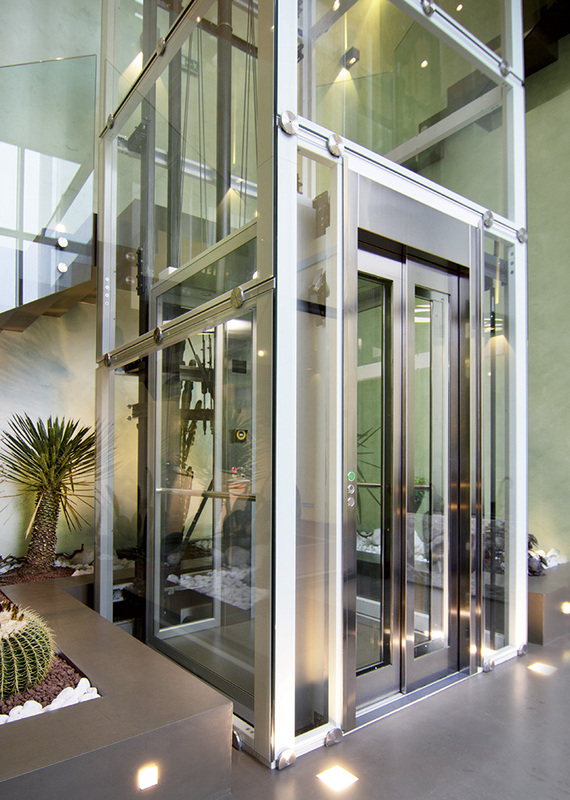 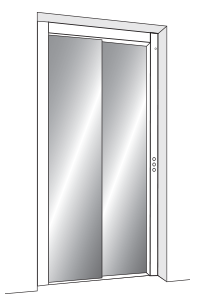 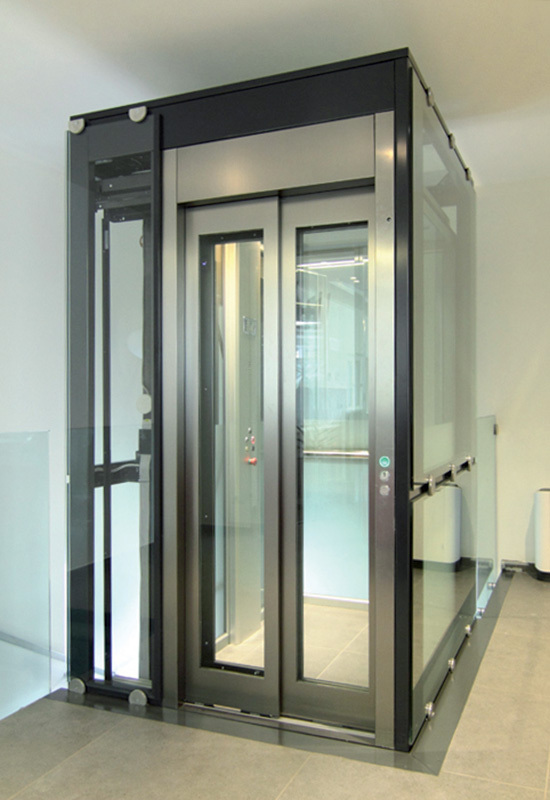 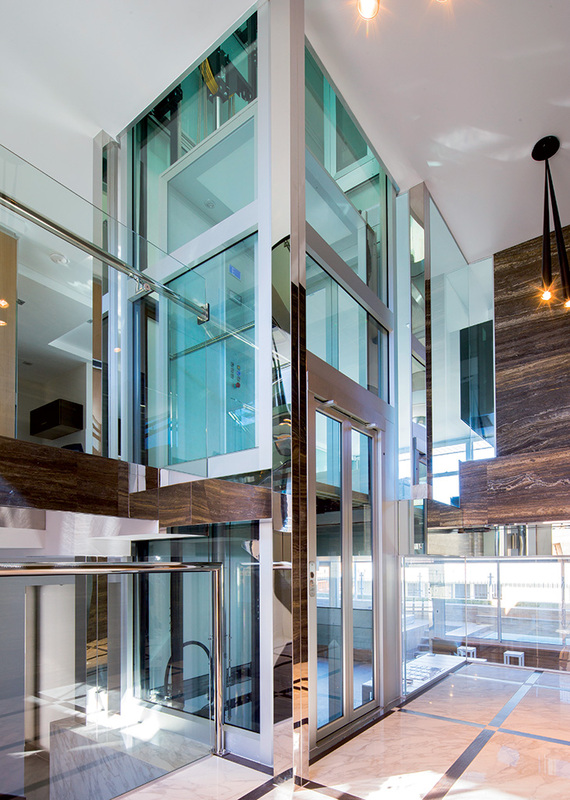 Each lift is made to measure in order to take advantage of every single centimetre available. 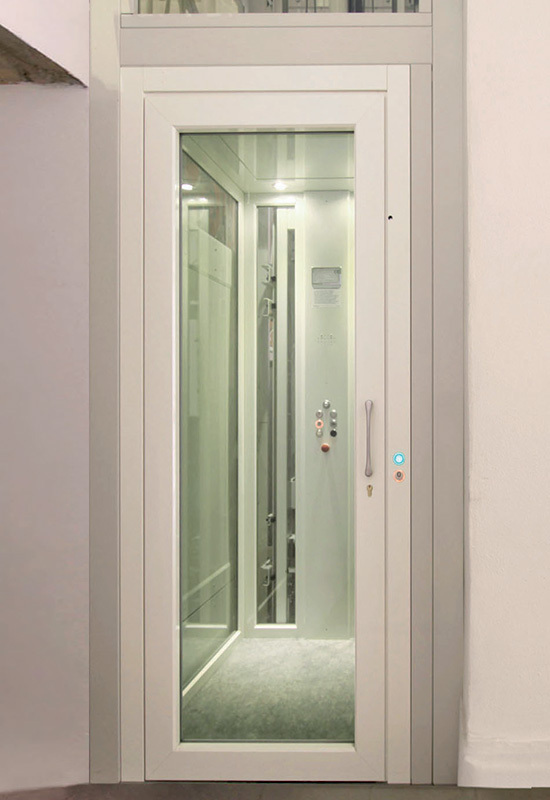 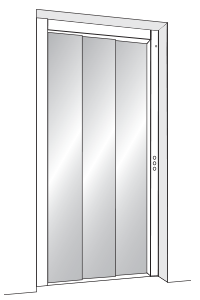 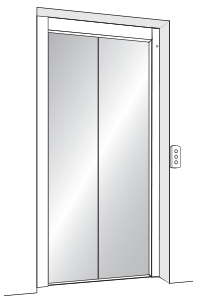 The lifts travel inside a shaft to guarantee, according to law, the maximum safety. 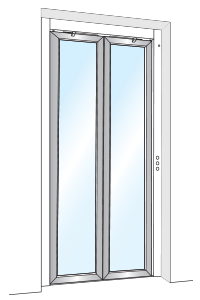 The shaft can be obtained inside the house making it in masonry or concrete. 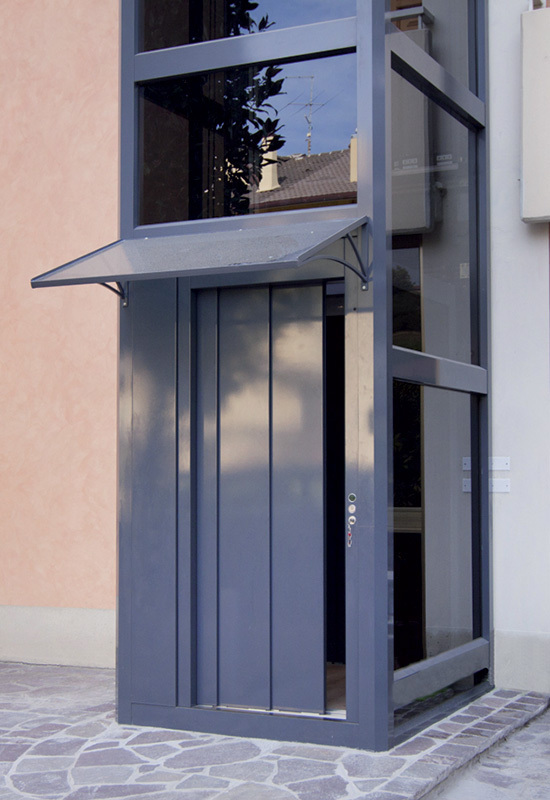 Alternatively we can provide a metal structure, certified according to the anti-seismic norms, designed for indoor or outdoor (since it is weather-proof). 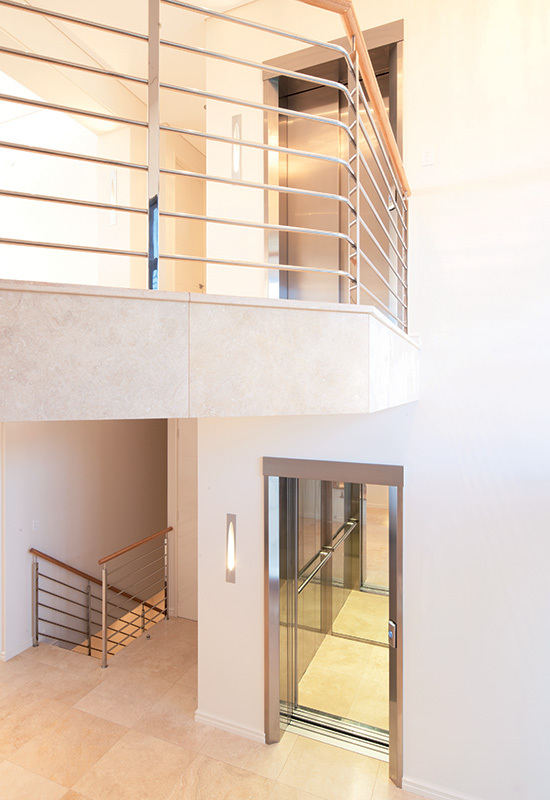 The structure has multiple finishes and can be completely glazed to ensure good easthetic result, lightness and visibility. 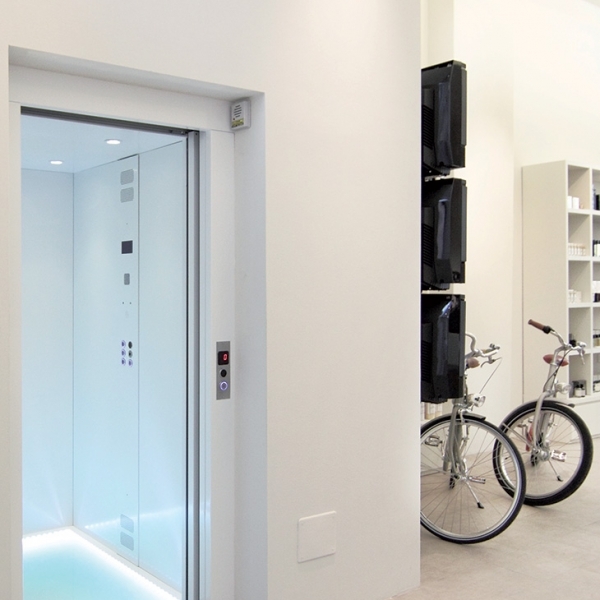 They can also be equipped with automatic sliding doors or with internal folding doors and external automatic swing doors (myDOMO) which allow automatic control avoiding to keep the button pressed during the entire ride.